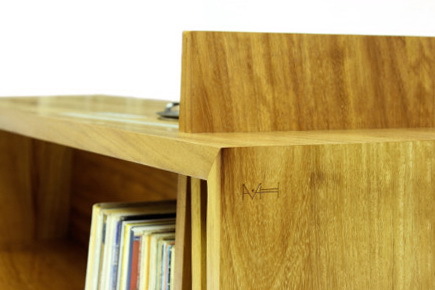 Designed by Hugh Miller, The Folded Record Bureau combines three of the artist’s favourite things – wood, vinyl records, and 80’s styling. 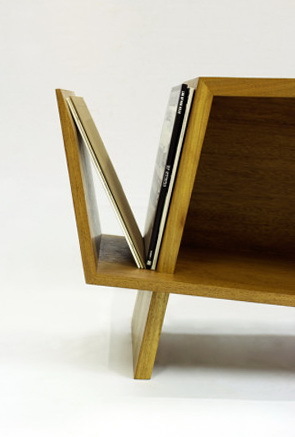 The table is formed from a folded band of solid Iroko timber, which changes in thickness and width along it’s length. 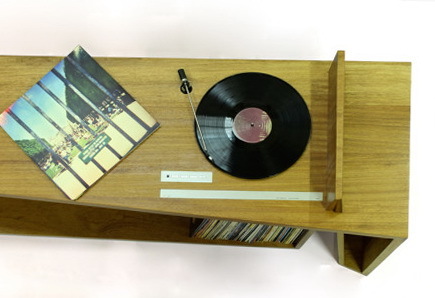 This type of timber was chosen because it used to be the main material used for high quality furniture in the 60’s, 70’s and 80’s and seemed like the perfect choice in order to recreate a retro piece of furniture. 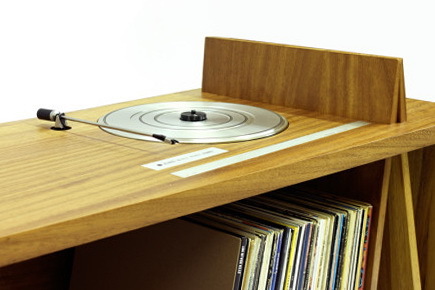 A vintage 1985 BeoGram 5000 turntable is set into the top of the table surface, along with the original controls and weighted toner arm.